After online reactions to Arrow Season 4 were pretty mixed, it has been refreshing to hear that the news about Season 5 of the series sounds very positive. 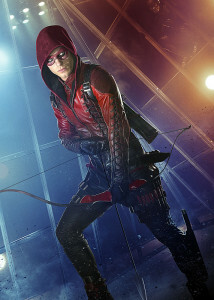 The show’s stunt master James Bamford is directing the first two episodes of the season; there are some new recruits; there’s a villain with a personal vendetta that goes back to Season 1; and the notion of a Mayor Oliver Queen sounds very exciting. There’s even news that Dolph Lundgren will be guest starring, and the flashbacks should be exciting with audiences finally seeing Oliver Queen’s adventures in Russia with Anatoly Knyazev and The Bratva. Two nights ago at the CBS/CW/Showtime party of the Television Critics Association Press Tour, we spoke with Executive Producer Wendy Mericle for details on what’s to come. Enjoy! GREENARROWSTV’s CRAIG BYRNE: What excites you the most about Season 5? WENDY MERICLE: Two things. I think the first is that we are really returning to our roots, answering a lot of the questions we raised in Season 1. We’re going back to some very cool action stuff; a lot more hand-to-hand [combat], having Stephen in the scenes… it’s darker, grittier, fun. The second thing that I’m super excited about is Russia. We are going back to Russia; we’re going to see the Bratva. I’m just very excited about making that stuff fun and exciting and cool. I think the fans have been waiting a really long time, and our goal is to deliver as much as possible, what they have in their minds on what that should look like. Anatoly Knyazev was seen in the trailer. He’s back quickly, right? Anatoly’s back. David Nykl – we’re so lucky to have him. He was such a find. He brings so much humor and light to that role, and that relationship between Anatoly and Oliver is something very special. We’re very excited about how he brings Oliver into the Bratva and what happens to Oliver when he’s there. 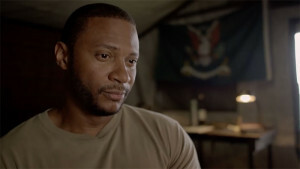 We haven’t heard a lot about what is happening with John Diggle this year. Is there anything you can share? 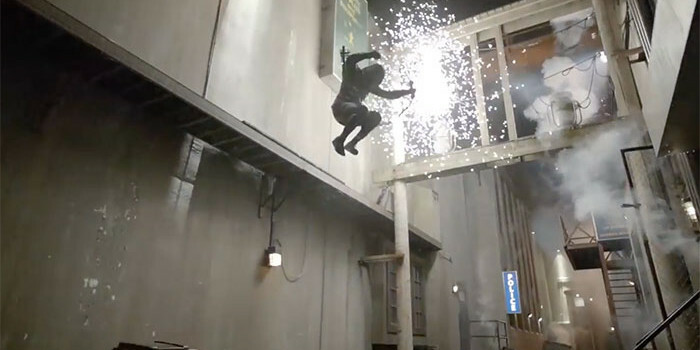 I can tell you that Diggle’s going to be struggling with what he did last season. I think the thing that we’re most excited about is the fact that he’s done something in a way that is darker than anything Oliver ever did. 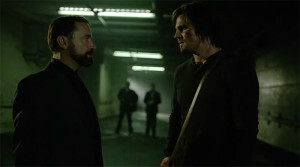 He’s always been Oliver’s conscience; Oliver’s moral compass… and to have him be in a darker place now is a really interesting place to juxtapose the two characters. Obviously, he’ll come back to Star City, but he’s going to back to Star City under some very different circumstances. He’s going to have a much deeper understanding of Oliver’s emotional state when he came back in Season One, than he probably thought he ever might in his lifetime. Oliver, when he came back to Star City, was in a place that psychologically was very similar to how we find Dig when he comes back this season. What can you say about the new recruits like Artemis and Wild Dog? I’m super excited about the casting. Rick Gonzalez and Madison McLaughlin — and David Nykl, too — have been absolutely bananas in the dailies. They’re so exciting. They bring such a new energy and freshness to the show, and we they bring humor. We have the opportnuity to have a whole new group of people, and a new dynamic, and they bring new life into the bunker. What is coming up for Oliver and Felicity in Season 5? In the past, we’ve always tried to write what the actors were showing us on camera, and I would say right now, we left Oliver and Felicity in a very ambiguous place at the end of Season 4. I think it’s going to take a while for them to figure out what that relationship is and how much they want it. And what’s this about a new boyfriend for Felicity? I can tell you that we love the character. He is very different than anybody else we’ve seen her with. He’s not Ray Palmer; he is not Oliver Queen, but he is a straight shooter good guy that we’re really hoping the audience likes and pulls for. Speaking of characters that the audience pulls for, is there any truth to the rumors that Colton Haynes has been back already? We would have Colton back on the show in a heartbeat. As always on the show, we want to bring back the characters that we know and love when there’s a story that can really serve them. 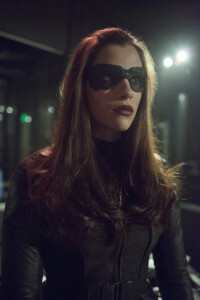 On that note, is there any chance we’ll see the Huntress again this year? It’s funny you should mention Helena. We are big fans of Helena in the room. Jessica de Gouw is amazing. We had talked about it earlier this season; it didn’t happen, not for any reason of actor availability; we realized quickly it was not the right story. But because we are answering to a lot of Season 1 storylines, we’d [like to] bring her back and see her again. We’re fans. James Bamford is directing the first two episodes of Season 5. You’ve talked about the action; can you talk about what he brings to the table as a director? James has been on the show from the beginning. He is absolutely committed. 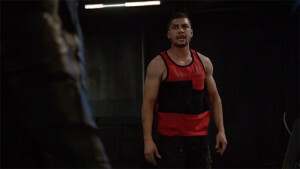 Loves the show, loves the characters, and I think having seen it in Season One and seeing the growth and our attempts to expand and grow and seeing what else we can do action-wise on the show, he has now arrived at a very specific vision that hearkens back to Season One but also honors where we are in terms of [the show’s] evolution. He gets it. I think it’s his passion for the show and his passion for constantly pushing the envelope that is going to make Season Five really exciting. How early will we get any hints of Flashpoint affecting Arrow? I will say that you’ll feel it early in the season. Our thanks to Wendy Mericle for taking the time to talk. Arrow Season 5 premieres October 5 on The CW — you can find more details here!